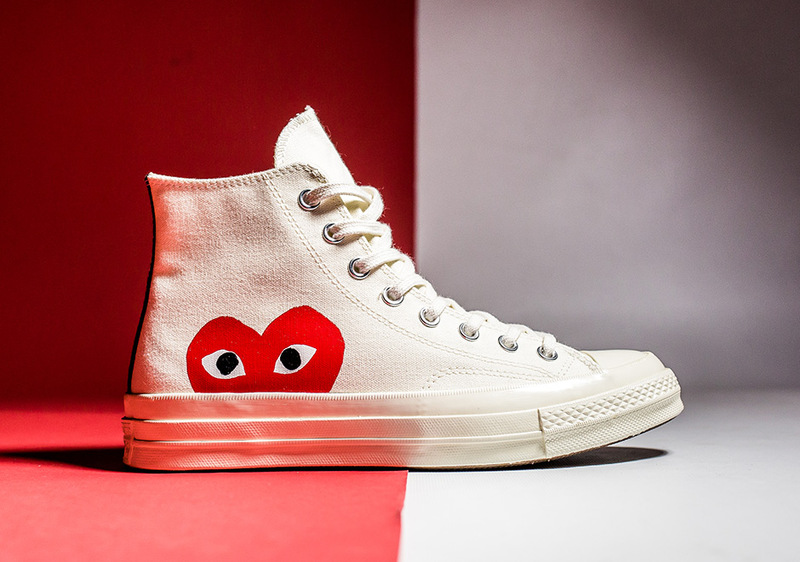 Converse has opened up the collaborative floodgates for Spring/Summer 2017. 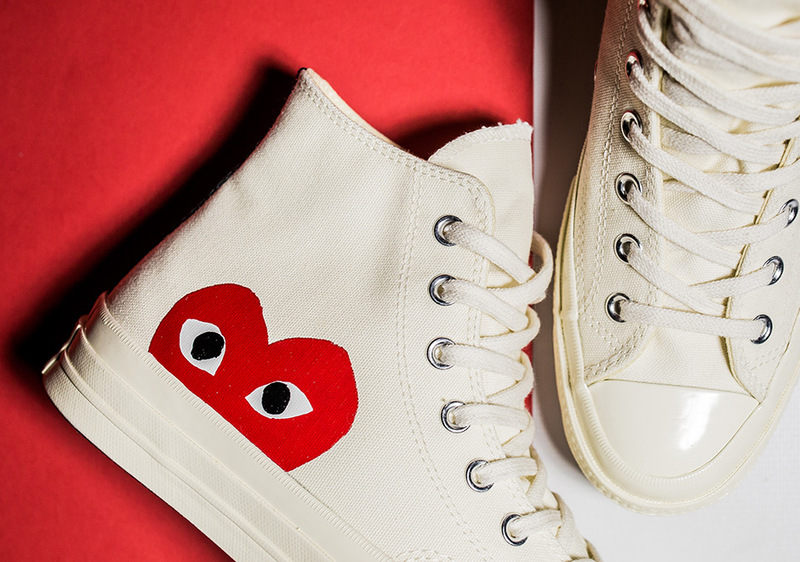 We’ve seen capsule collections with Carhartt, CLOT, fragment design, and Undefeated each revamp classic designs with simple, premium efforts selling out quicker than you’d expect. 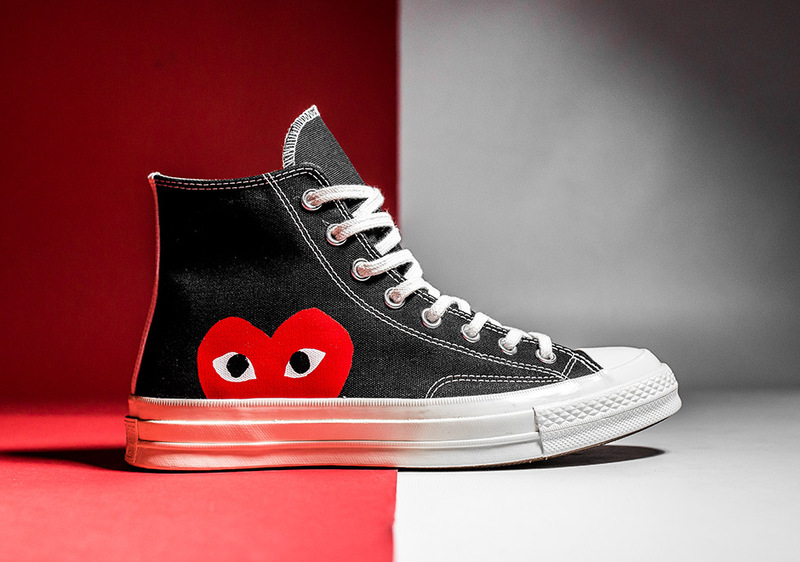 Now COMME des Garcons is getting the chance to update the iconic Converse Chuck Taylor in 2 new colorways perfect for any occasion. 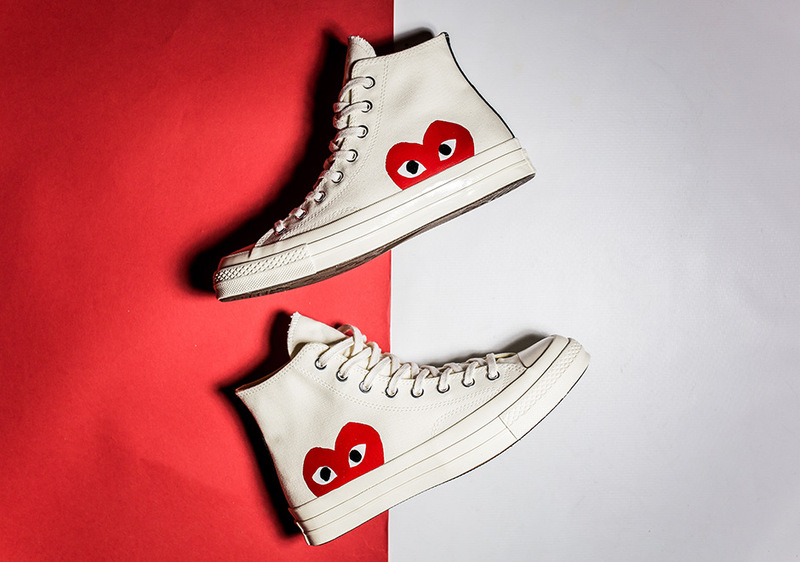 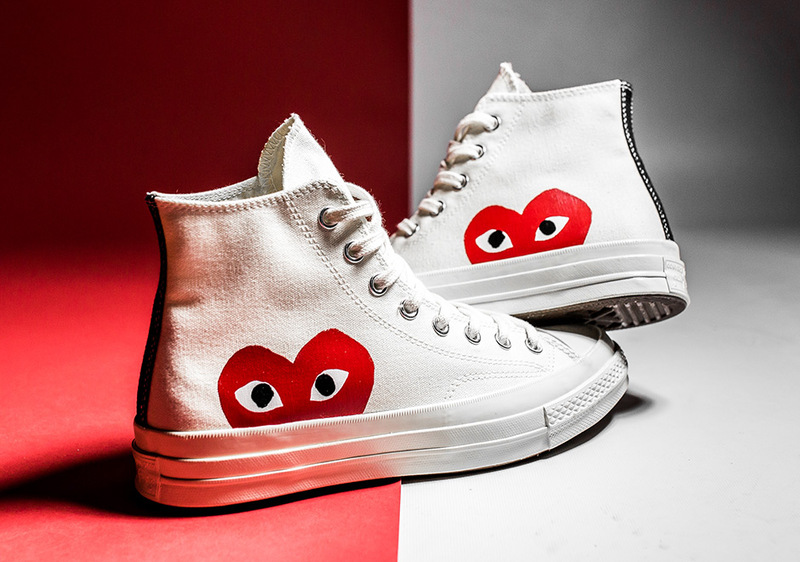 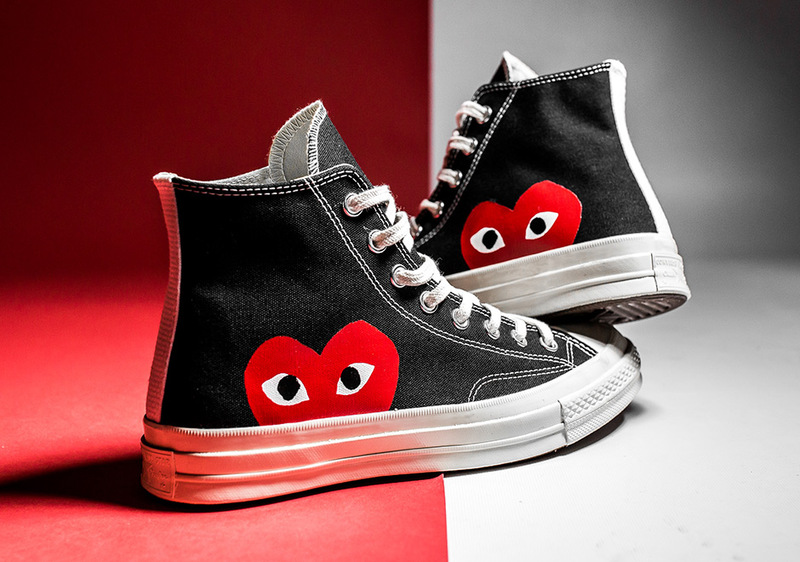 The COMME des Garcons Chuck Taylor benefits from a simple Black/White treatment with contrast white stitching or a monochromatic off-white as both pairs show the signature heart and eyes logo peeking out past the midsole. 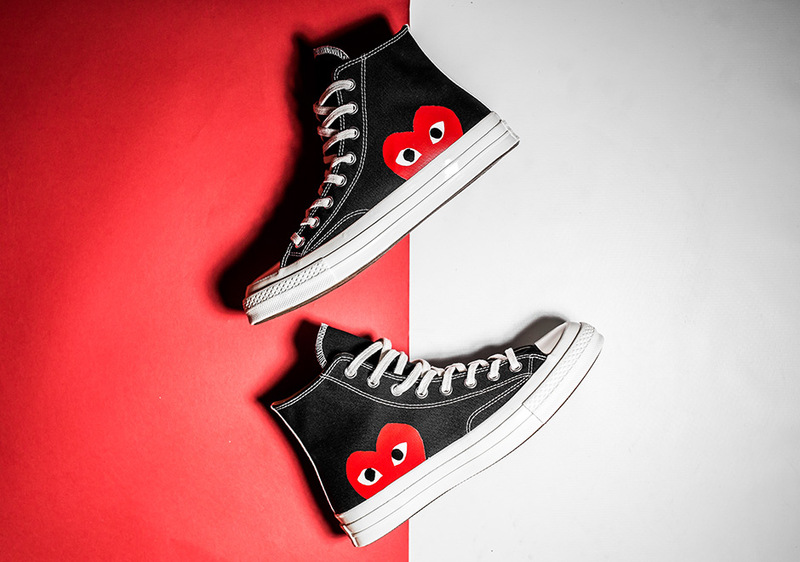 Available now at Packer Shoes in-store.